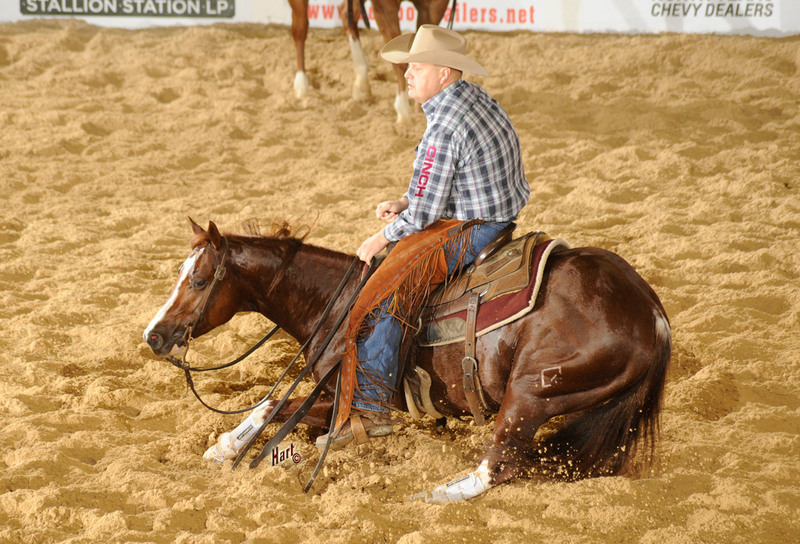 In 1970, Doc O’Lena became the first horse to make a clean sweep of the National Cutting Horse Association (NCHA) Futurity Open preliminary rounds, semifinals and finals. Since then, the feat has not been repeated. But on Dec. 10, Dual Reyish carried Austin Shepard to the Futurity Open Championship, their fourth victory in a string that has extended throughout the show. In the first go, they marked a 222.5 to top the round. They followed that up with the second-highest score in the second go, a 220, which boosted them to the highest composite score between the preliminary rounds headed into the clean slate semifinals. There, they again took the lead, scoring a 223. But in the finals, the duo laid everything on the line to mark a 228, which claimed the Championship. “It went good. He’s a really good horse, and everything kind of fit,” Shepard said with a smile, crediting Kade Smith, who raised and started Dual Reyish, for much of the stallion’s abilities. “Dre” (Hottish x A Little Reylena x Dual Rey) is owner Billy Wolf’s first cutting horse. In fact, Wolf, of Whitesboro, Texas, hadn’t even met Shepard until semifinals night. He collected a $192,672 check for the win.